Reloop announced their new flagship DJ controller called the Reloop Mixon 4. 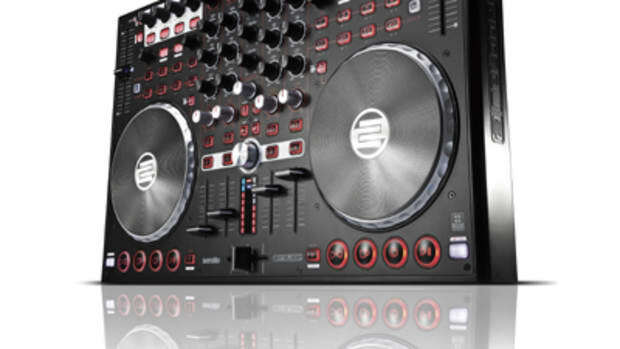 This new four deck DJ controller can work with many different software and hardware options making it a versatile device for all types of DJ's. The Reloop Mixon 4 has durable build quality, plug and play operation for Serato DJ and DJAY Pro, and it has large aluminum jog wheels with LED feedback. 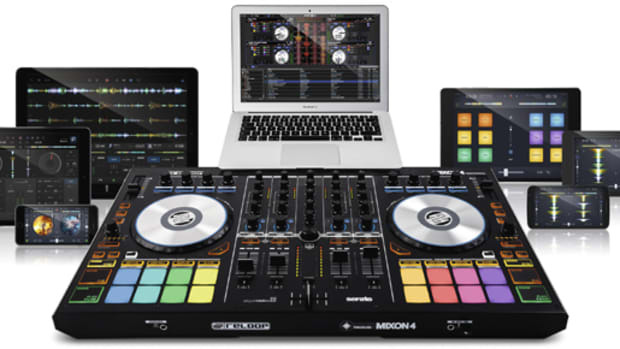 Reloop announced their new flagship DJ controller called the Reloop Mixon 4. 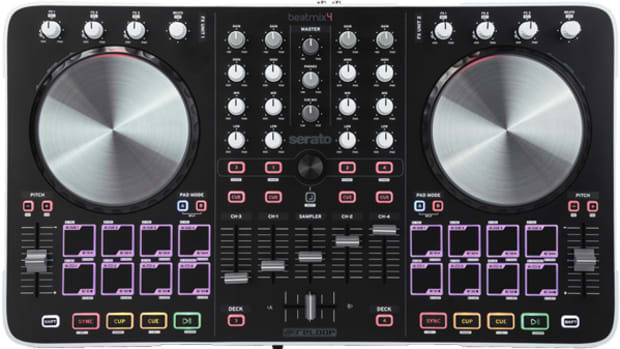 This new four deck DJ controller can work with many different software and hardware options making it a versatile device for all types of DJ&apos;s. The Reloop Mixon 4 has durable build quality, plug and play operation for Serato DJ and DJAY Pro, and it has large aluminum jog wheels with LED feedback. The Reloop Mixon 4 looks like the natural successor to the Reloop Terminal Mix 8 which reviewed a WHILE ago and it packs all of the new Serato DJ features such as Harmonic Mixing and Macro FX functions. We&apos;ll get one in the lab in due time. For now check out the full press release and video below for more info. The newly announced Reloop Mixon 4 DJ controller is the new flagship Reloop controller that works with the Serato DJ software. The Reloop Mixon 4 has durable build quality, plug and play operation for Serato DJ and DJAY Pro, and it has large aluminum jog wheels with LED feedback. Check out what chris Karns can do with a Mixon 4 in this dope video. The new Reloop Mixon 4 DJ controller was on hand at the NAMM 2017 show last week where we had a complete overview of the device from Reloop themselves and now we have one in the lab for the full out review treatment. We'll have the full out review video for you shortly, but check out our quick unboxing & first impressions video to see our initial thoughts on the new Flagship Reloop controller. Reloop has been bringing some nice quality DJ gear out of their hats for the past few years on the DJ scene. Their gear has gotten better and better with each hardware iteration and this time we expect no different from the new Terminal Mix series of Reloop DJ controllers that are being introduced to the United states on June 15th via the US distributor Mixware.net... My good friend's over at Mixware.net sent us an early Terminal Mix 4 Digital DJ controller review unit so we can give you the full-in-depth-HD-Video reviews that you are all so used to. It will be released the same day as the controller is released in the US but you can check out the teaser unboxing and first impressions video for now to see a quick rundown provided by yours truly. 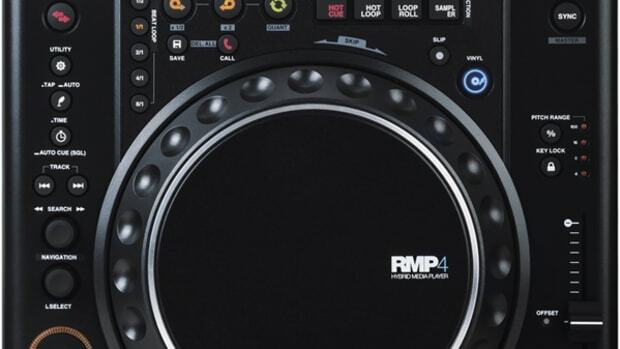 Reloop has just announced their brand new multi-media player called the RMP-4. This new Hybrid Performance Player can play CD's, USB media, and act as a MIDI controller for playback. The Reloop RMP-4 deck also has advanced features on-board like Slip Mode, Loop Roll, Hot Cues, and eight buttons to control the popular features. Check out this quick intro video and full press release after the jump.